Charming Doodle...sew it, build it! Time flies and this little guy is off to Kindergarten! 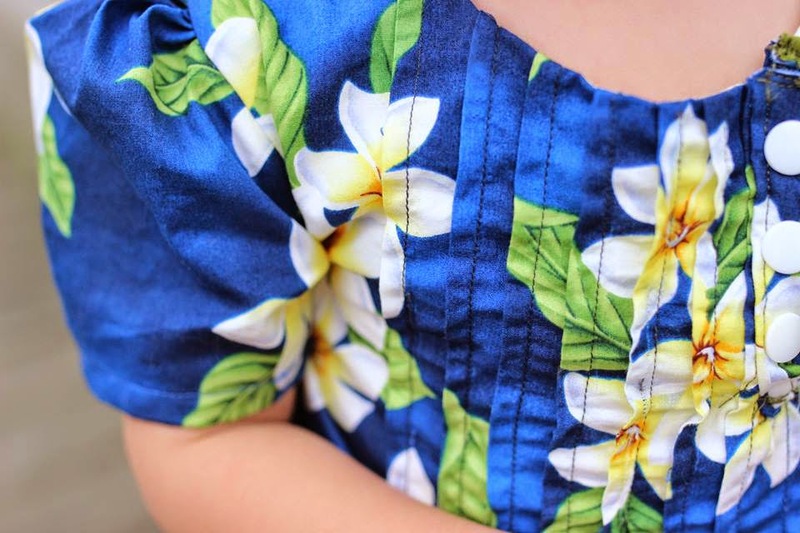 Mie from the blog Sewing Like Mad is kicking off her Sewing for Kindergarten series again this year and I'm thrilled to be taking part in it. I made 3 pieces for Henry, all are using patterns from UpCraft Club. 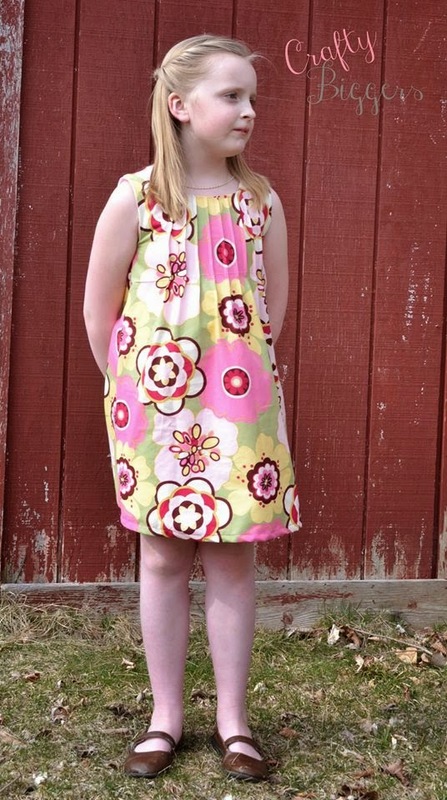 You can see more about the clothes I made and the patterns I used on the UpCraft Club blog. 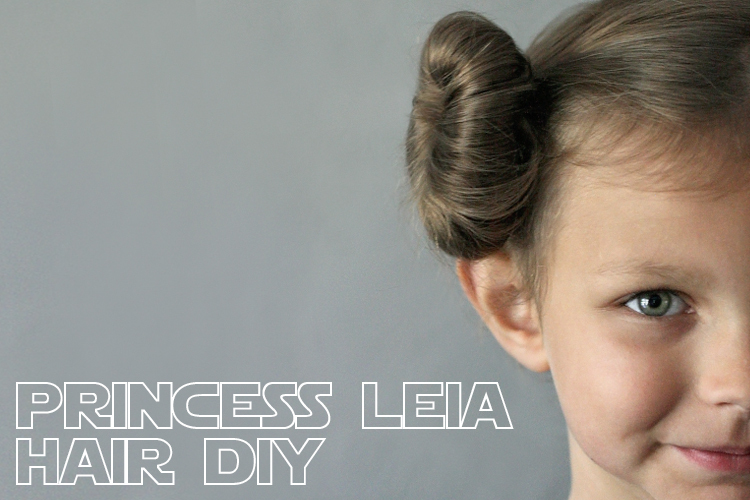 I turned my 6 year old into Princess Leia for a day and am sharing a SUPER easy method for making a side bun like Princess Leia. 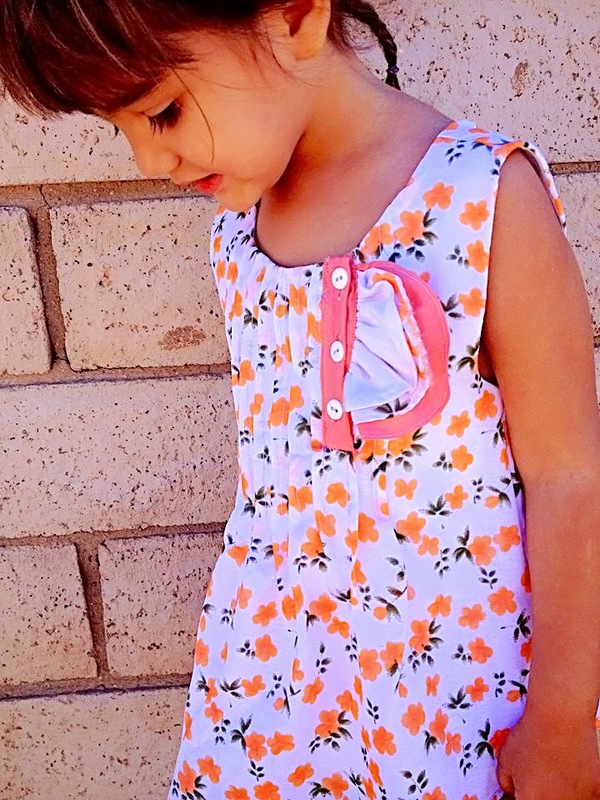 You can check out the full tutorial at The Sewing Rabbit today. 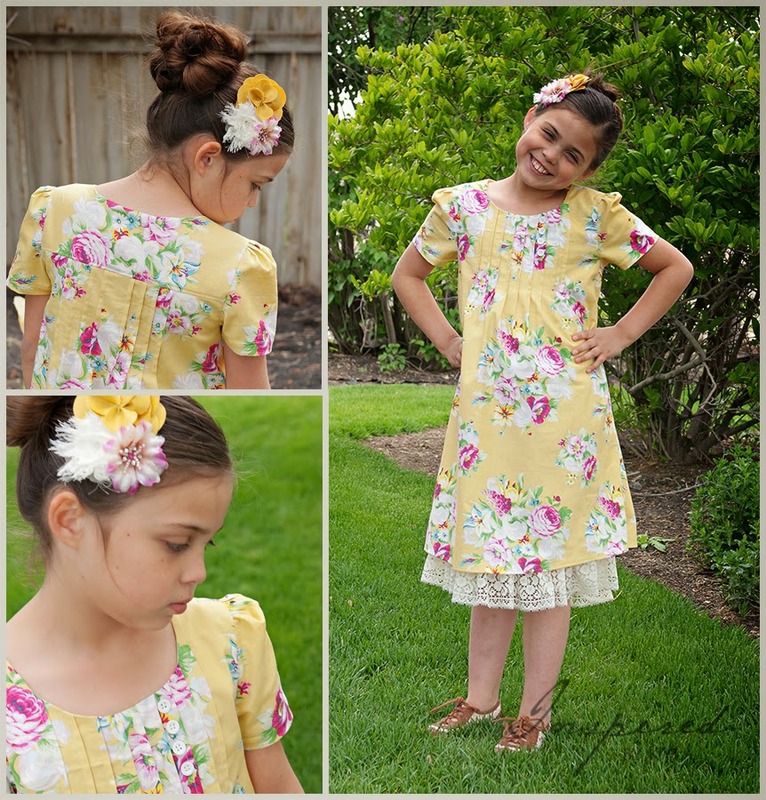 Did you get your copy of the Limon Dress & Top pattern yet? 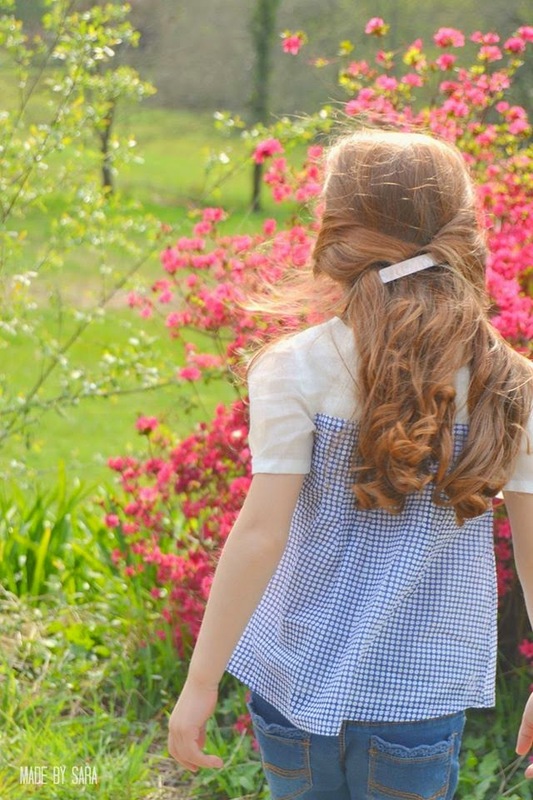 I'm so excited to finally be able to share this pattern with you! It's my first clothing design specifically for girls (the Kudzu Cargos and Knight Hoodie can work for both boys and girls, though). 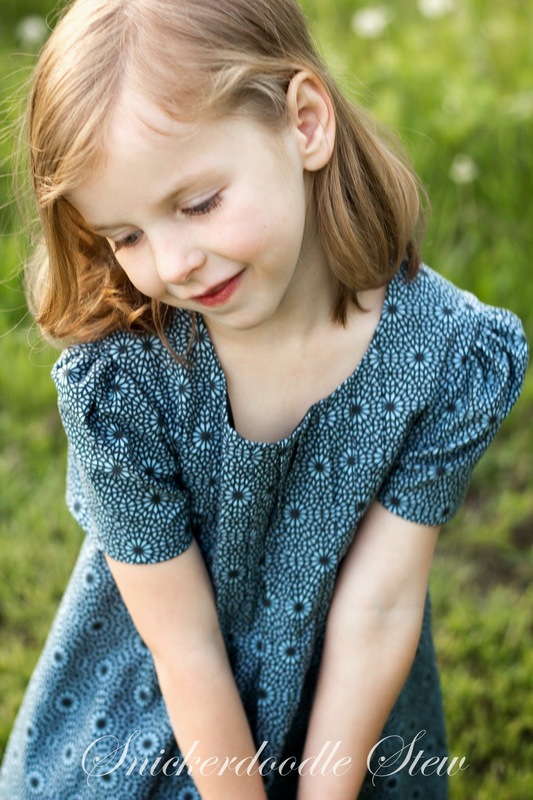 For the Willow & Co Spring/Summer 2015 Collection we each chose to name our pattern after a place in the world. 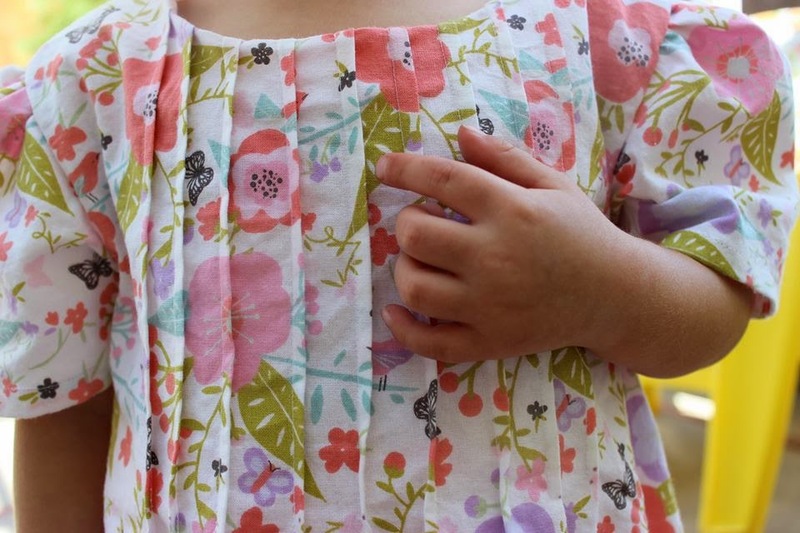 At first I couldn't decide what to call the pattern and the only thing that came to my mind was 'Lemonade Stand' because I can just picture my little girls having a lemonade stand this summer wearing their new dress and top from this pattern. But 'Lemonade Stand' isn't the name of a place in the world. Then I remembered a beautiful place I visited while living in Costa Rica called Puerto Limon. Limon means lemon (or sometimes lime) in Spanish and seemed like the perfect choice for this pattern. 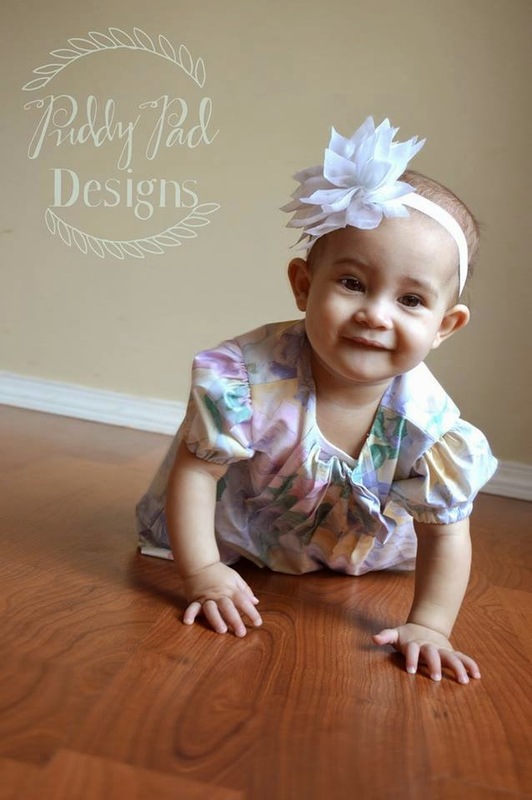 I had so many wonderful testers for this pattern and am excited to show you all of their beautiful versions. I'd love to see YOUR Limon! #limonpattern You can click 'Buy Now' to get the pattern below. 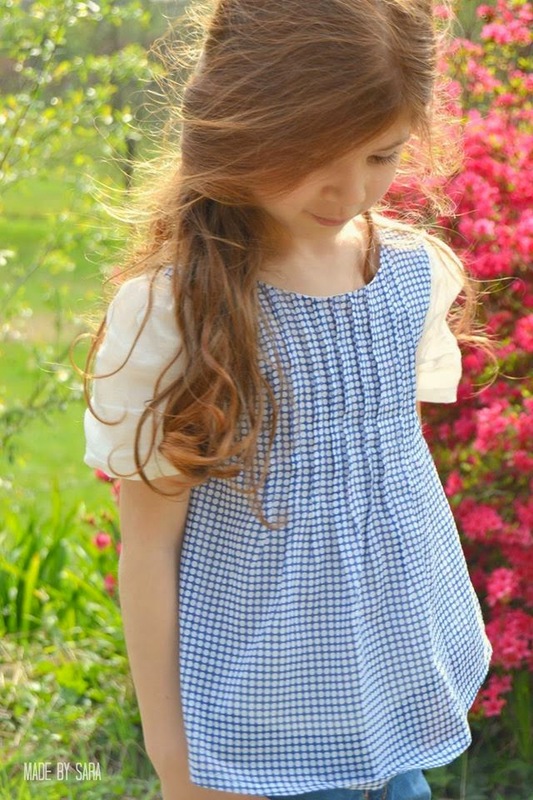 Sara from Made By Sara made this gorgeous lightweight top with sleeves for her daughter! So pretty! 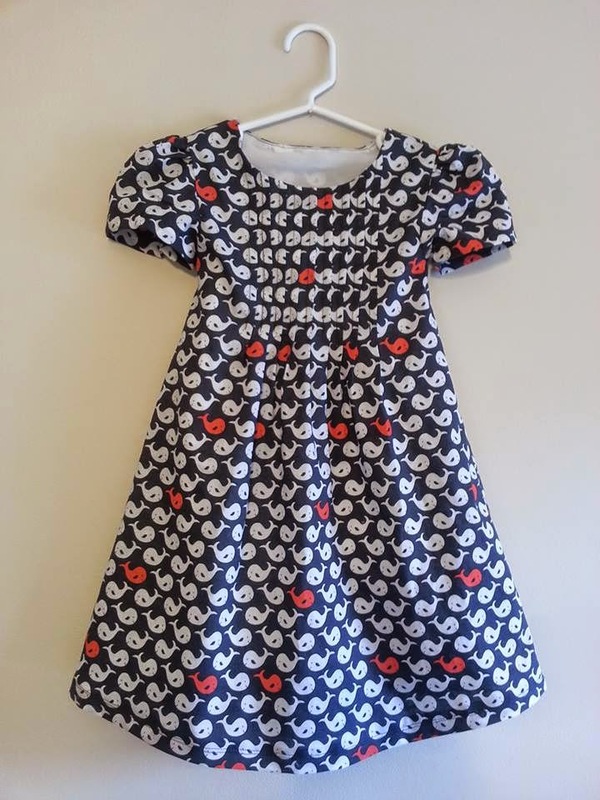 Liz used this adorable whale fabric for the dress she made (on the left). 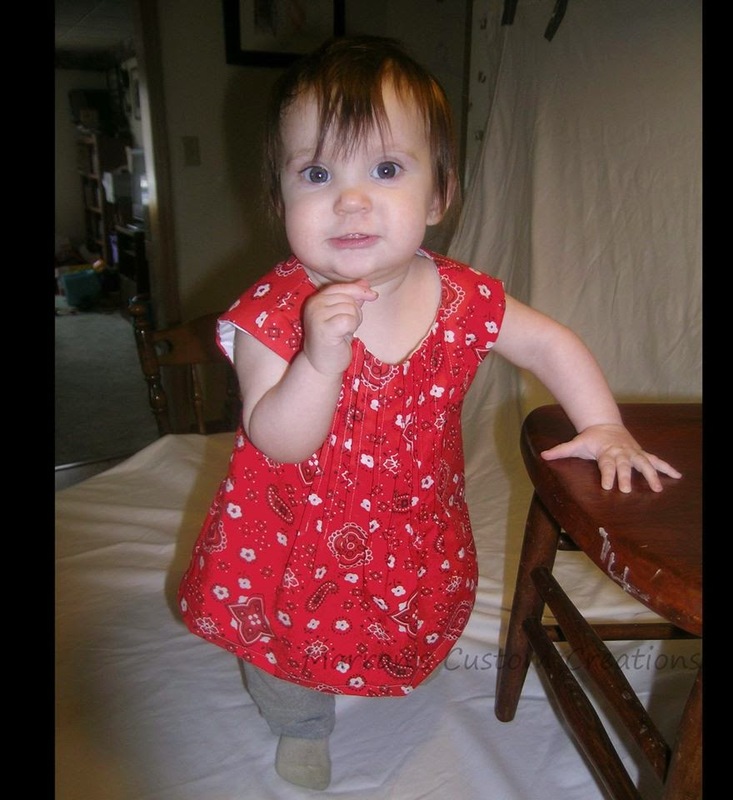 And to the right, Marran used a fun bandanna print for this 6 month sized cutie. 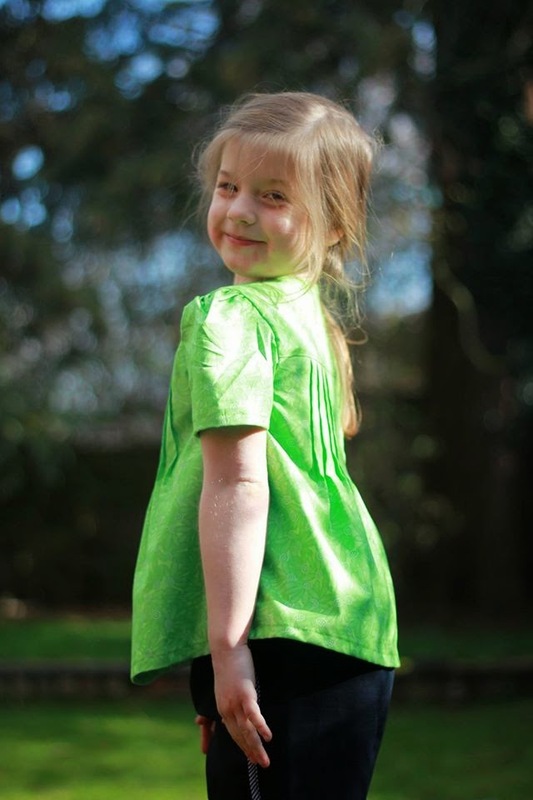 Jessica made a sweet sleeveless top (and those cute pants too)! And on the right I love the different fabrics Melissa used to make the ruffles next to the placket. 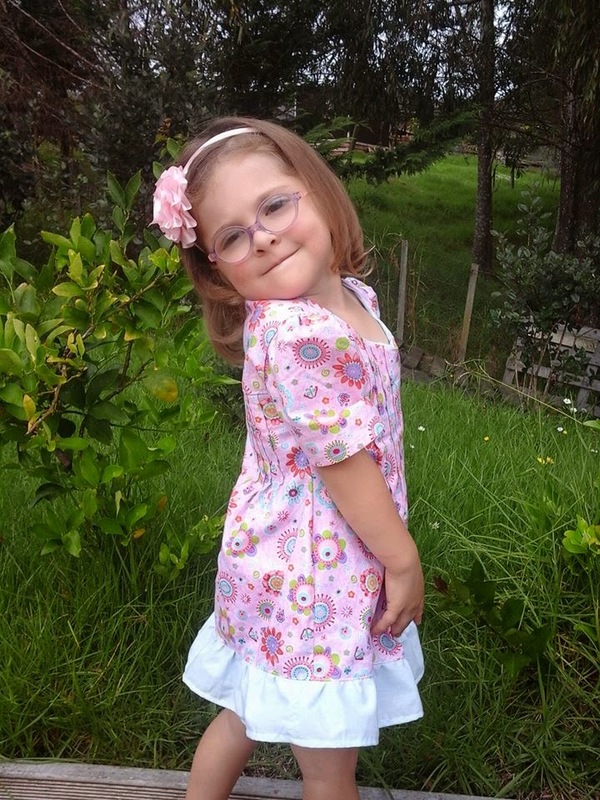 Essence made this beautiful pink sleeveless top (left) and Megs added a fun ruffle to her adorable girl's dress (right). 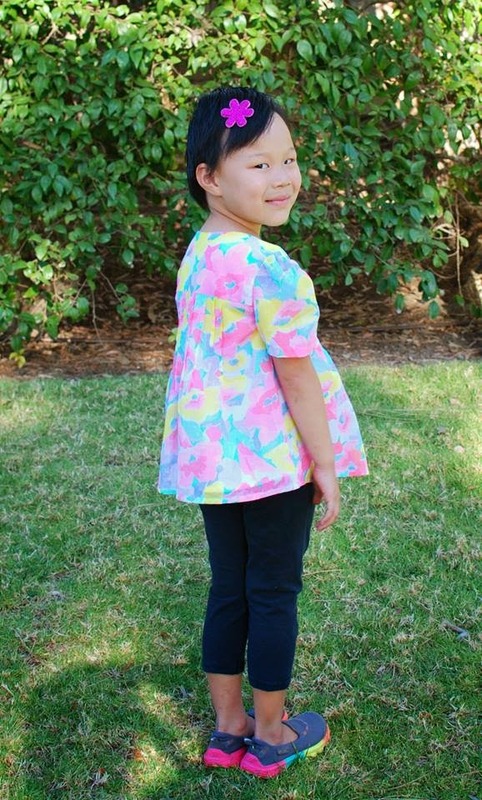 Tasha's daughter looks so cute in her top (left) and we love those turquoise snaps on the placket. 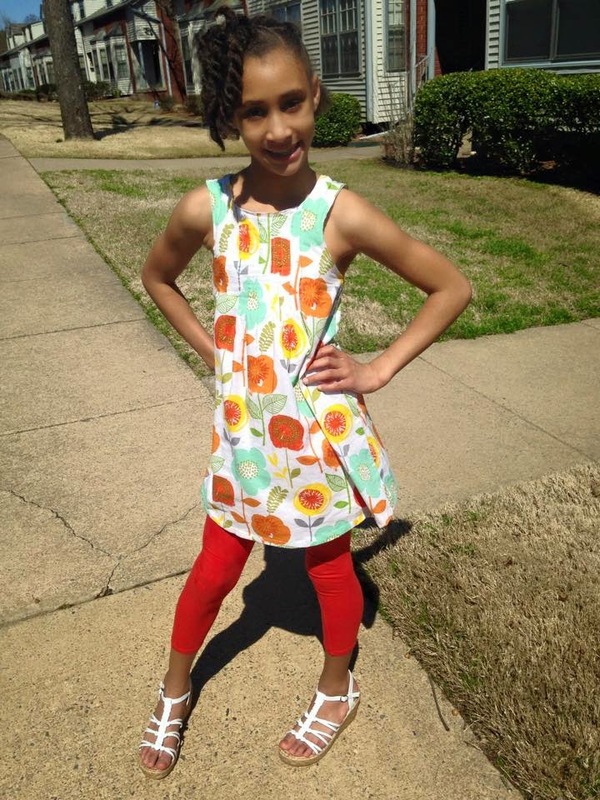 And Shanice made a sleeveless dress (right) and her daughter was such a great model who loved her new Limon! 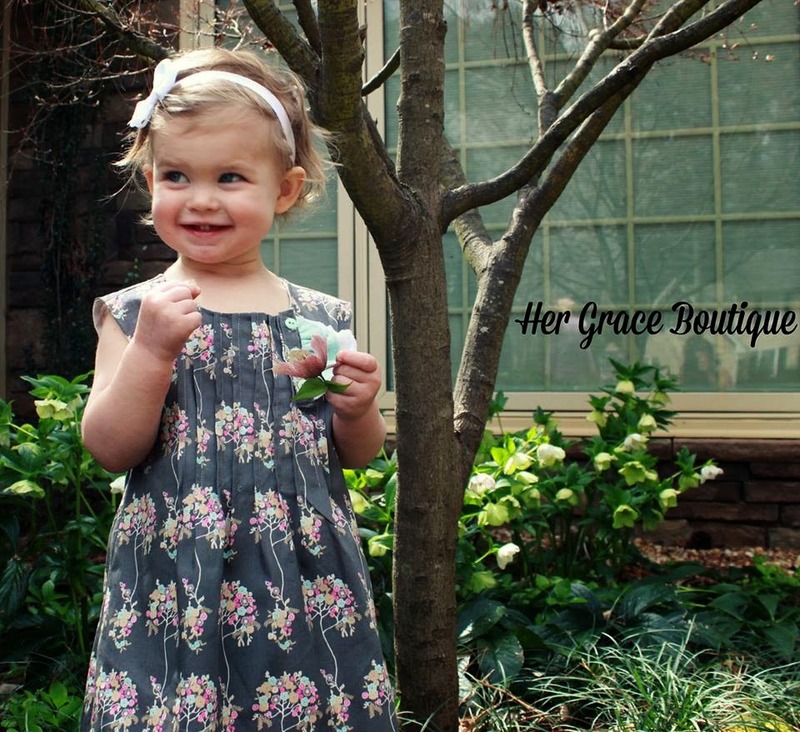 Erin from Crafty Biggers made an adorable dress for her daughter (left). 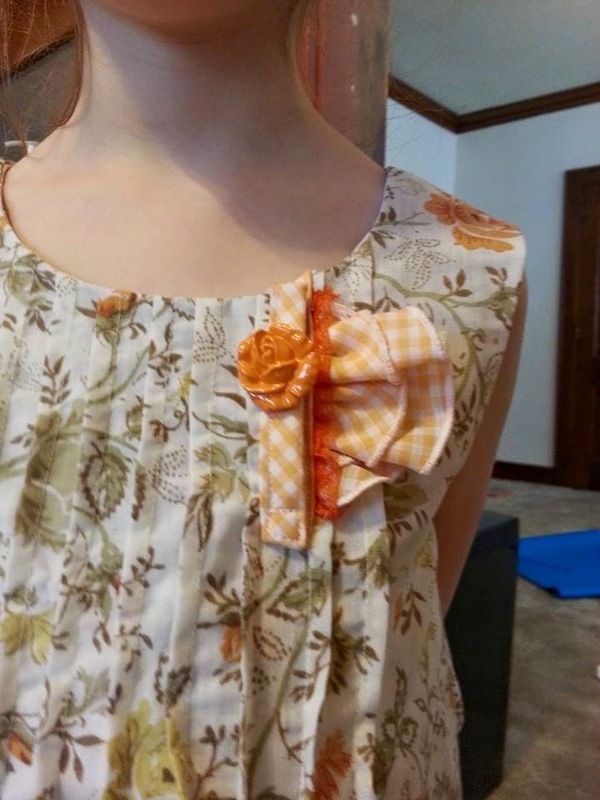 And Alyssa got really creative with the placket (right) and added such great trims and ruffled fabric! Jeannie tried the dress in knit (left). It's not recommended in the pattern but part of testing is getting to try out things like that and the result was pretty cute. 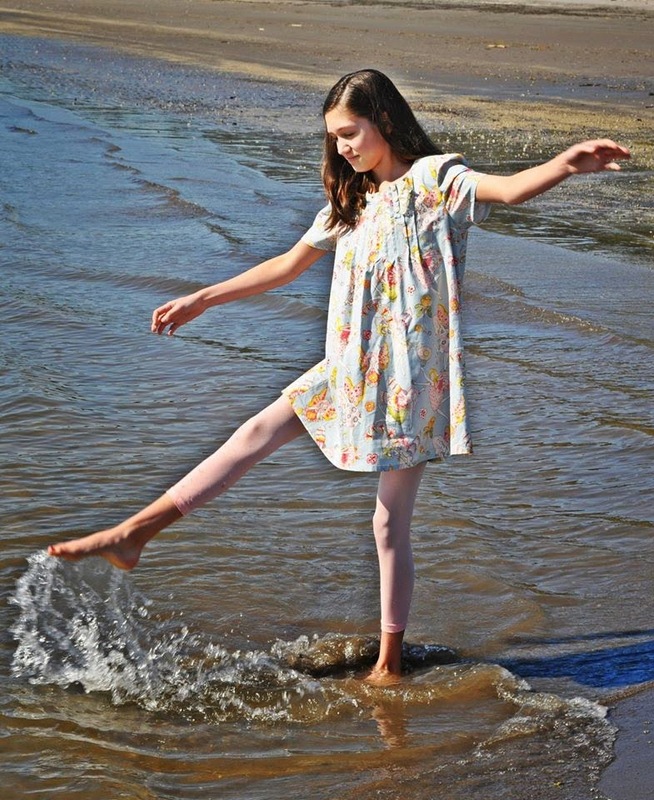 Below on the right is Nancy's granddaughter splashing around in her new Limon. SO pretty! 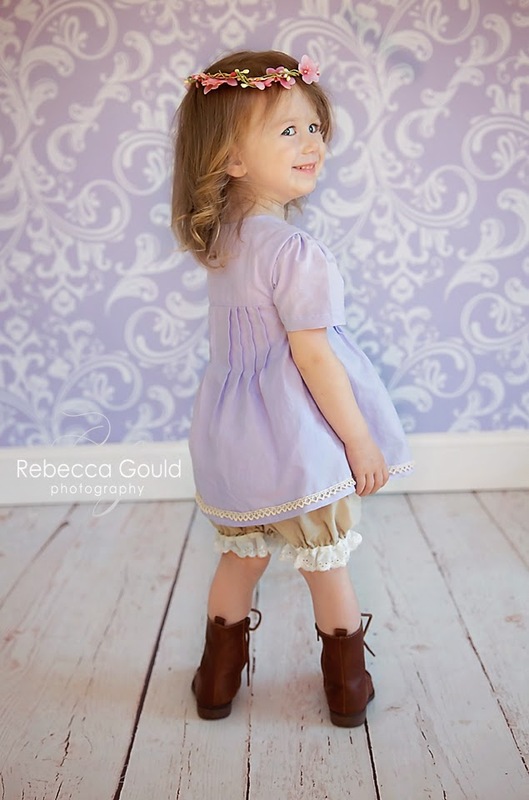 Tessa's girl is just beyond cute in her new sleeveless dress (left) and Tiffany's toddler clearly loves her dress too. Look at those smiles!! 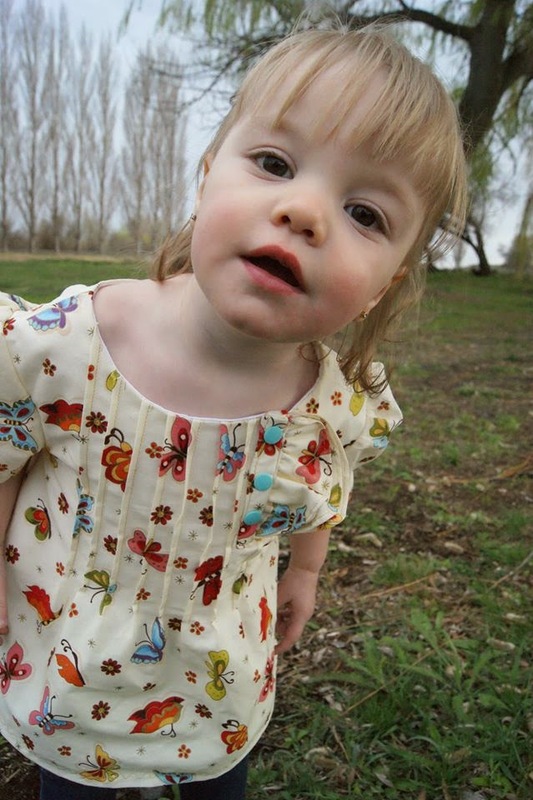 It was so fun seeing babies in the Limon like Holly (left) and Chelsie's (right) little girls. They added a bit of elastic to the bottom of the sleeve for a different look that turned out so cute! Below on the left you can see a close up of the pintucks and the gorgeous fabric Christina chose. On the right is a bright and fun top made by Cori. 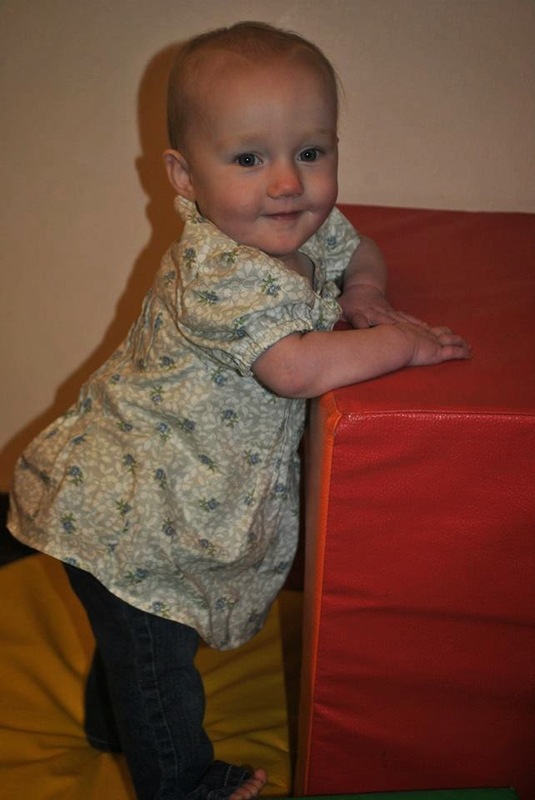 Look at that sweet smile! 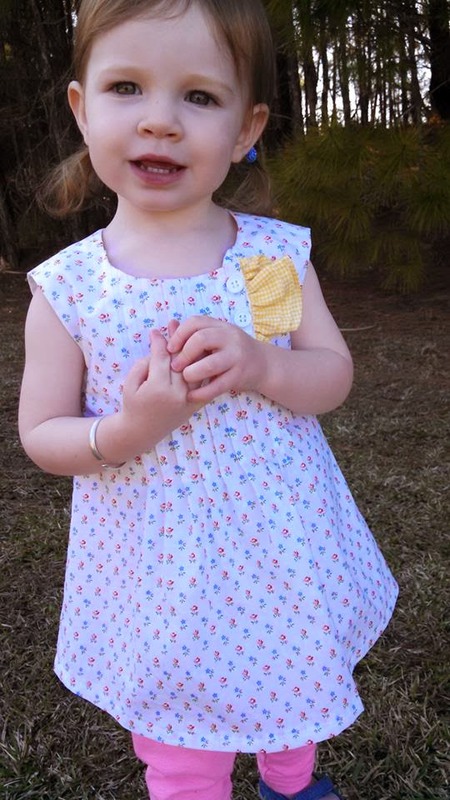 Kristin made this adorable sleeveless Limon (left) and that yellow ruffle by the placket is so fun! And here's another close up of those pintucks done by Alexandra (right). 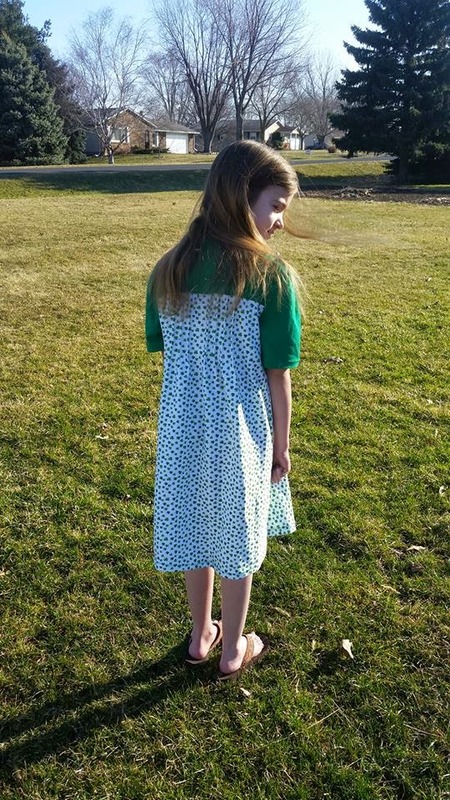 She used snaps instead of buttons on the placket and both options are included in the pattern. 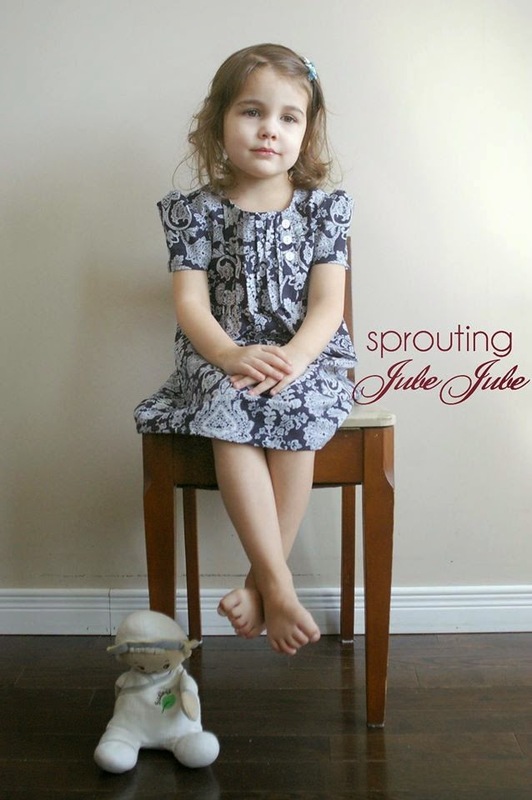 Deb from Sprouting Jube Jube made this sweet dress with sleeves and her daughter looks like a little angel (left). 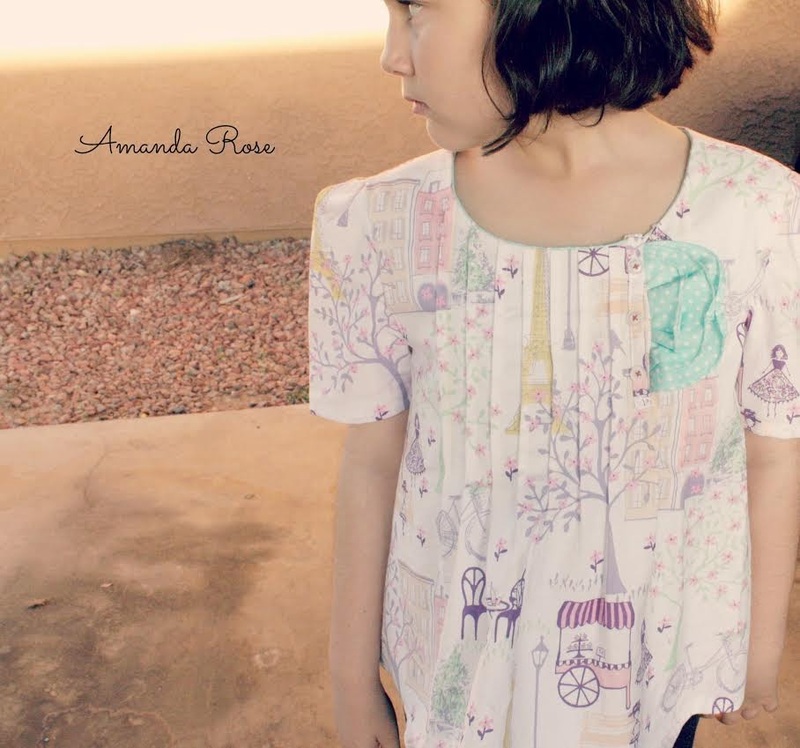 Amanda also made sleeves for her top (right) and chose the perfect ruffle accent fabric. 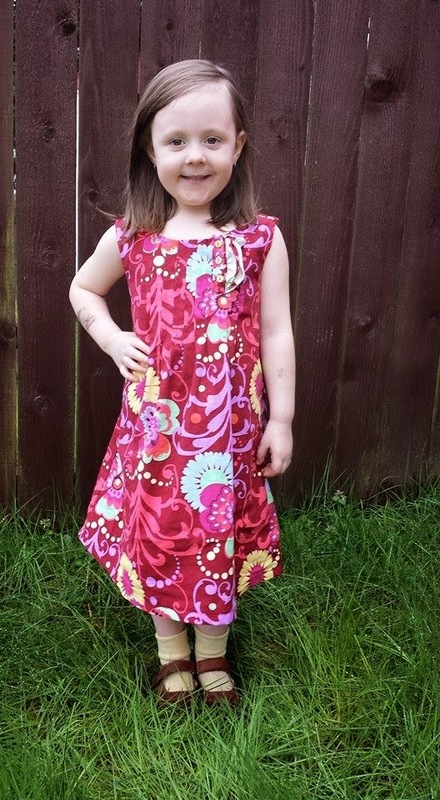 Kyla added some beautiful lace to her dress (left) and Candy also used bright, fun fabric for her cute Limon top with sleeves. 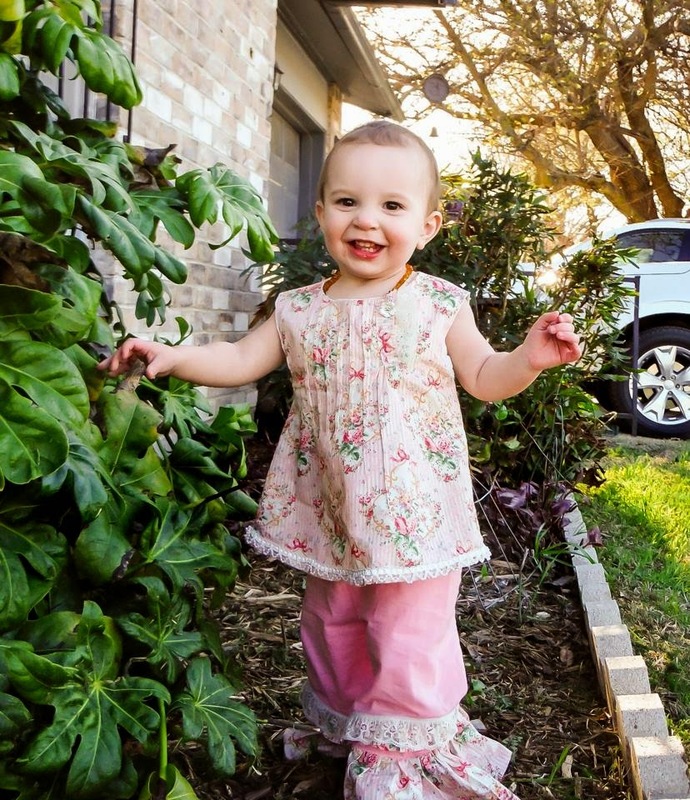 Rebecca used some beautiful trim to embellish her sweet Limon (left) and Jessica's daughter looks adorable in her Limon dress too (right)!